Founder and CEO of Pop Media Brands, and CEO of PopStar Club, Inc., Sherry Gunther Shugerman, is a two-time Emmy-Award winning producer, media executive, and entrepreneur. Sherry spent the first part of her career producing some of television’s most successful animated hits, such as The Simpsons, Family Guy, Rugrats, Dexter’s Laboratory, Cow and Chicken, Johnny Bravo, The Powerpuff Girls, Looney Tunes and more; and heading up production at studios such as Hanna Barbera, Warner Bros., Twentieth Century Fox Television, Nickelodeon, and more. Sherry then shifted her focus to innovate in the new media space, and launched two separate ventures in the kids’ virtual world and gaming space. At PopStar Club, Inc., Sherry created and launched The Beatrix Girls, a true multi-platform media brand of fashion dolls who are pop-stars, now selling in 13 countries around the globe, boasting 13M fans on YouTube, 9 consumer product licensees, and music on iTunes. The Beatrix Girls are now expanding into a global TV series under Sherry’s new venture, Pop Media Brands. The company focuses on creating developing and launching multi-platform media brands that reach and engage today’s kids through brands that integrate all media platforms from traditional, to digital, music, social, and toys, and currently has 6 other brands in development aside from The Beatrix Girls. Through her years in entertainment, Sherry has demonstrated a sincere dedication to quality content. She has been honored for her outstanding work with numerous awards including two Emmy-Awards, a Cable-Ace award, a Humanitas Award, and five additional Emmy nominations. 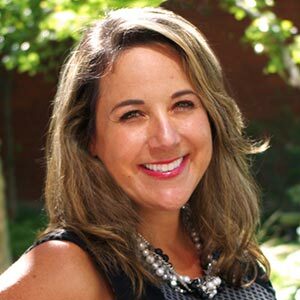 Sherry earned her BS degree from the University of California, Los Angeles (UCLA) and her MBA from the University of Southern California (USC) where she now teaches classes in media and entrepreneurship.